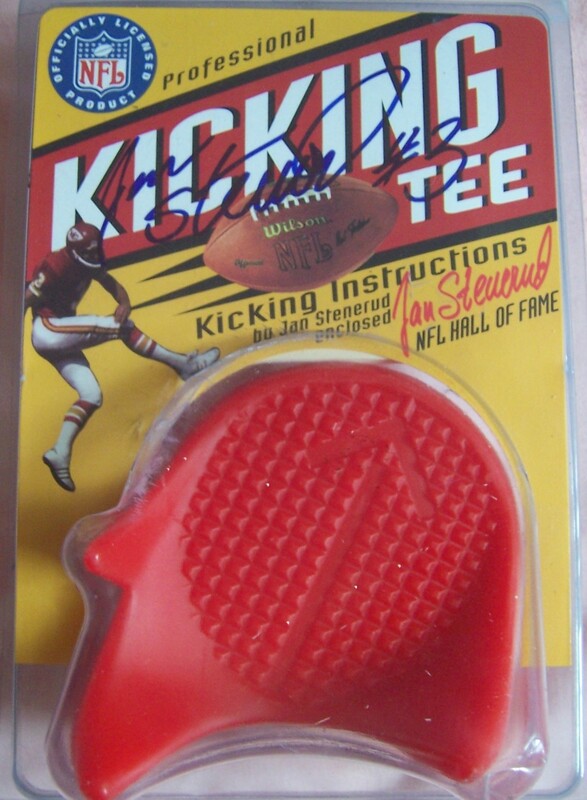 Jan Stenerud signature model kicking tee autographed on the color packaging insert by the Hall of Fame kicker. Obtained in person at celebrity golf tournament, with certificate of authenticity from AutographsForSale.com. ONLY ONE AVAILABLE FOR SALE.